alan wilder before DM dm era production horror interviews press r-history recoil inc.
dm era recoil era studio with... misc. 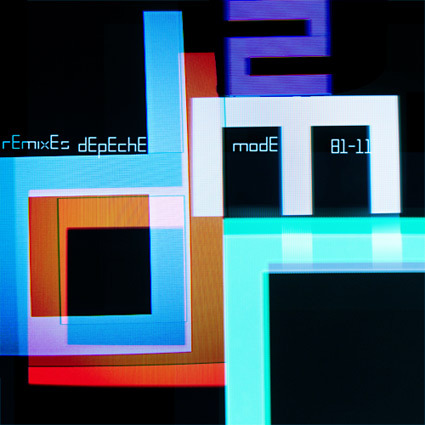 On 6 June 2011, Depeche Mode will release Remixes 2: 81-11 on Mute. An inspiring collection of new and classic mixes of material covering their entire career, the album includes remixes of tracks from their 1981 debut Speak And Spell, through to 2009's Sounds Of The Universe, and is the follow-up to 2004's million-plus selling Remixes 81-04. As we announced before Alan Wilder remixed song 'In Chains'. In the following article you can read what Alan says about his new version and why he chose just this song. Depeche Mode have been at the forefront of remix culture for the best part of three decades and this new compilation includes classic mixes from M83, UNKLE, Trentem?ller, François Kervorkian and Dan The Automator, alongside all-new mixes from Stargate, Eric Prydz, Karlsson & Winnberg (from Miike Snow) and Röyksopp. In addition to this, the expanded editions include exclusive remixes by former band members Vince Clarke and Alan Wilder - the first time either artist has remixed tracks for their former colleagues. Says Alan: "I have to say it was a tempting proposition to try and remix something for Depeche Mode after all these years, and I appreciated the gesture of being asked. It was requested that I choose something post-'Songs of Faith & Devotion' which proved an interesting experience, trying to choose a track from their more recent material, and a particular challenge since I had very little time to do the mix given I was stuck in technological limbo somewhere in the French countryside...! To help me decide, I asked Mute to provide stems from several short-listed songs, so that I could listen to component parts and make a more informed decision. In the end I decided that 'In Chains' could maybe benefit most from the Wilder treatment, hopefully expanding the dynamics and overall power. I thought the song and the existing vocal performance was strong (even though Dave's voice arrived with all its effects bounced together, so I was stuck with those). The general experience was a bit weird and took me back to particular recording periods we spent together years before. I could imagine, through this process of listening to individual parts, how the original recording of 'In Chains' might have come together. We ended up with two quite different versions of 'In Chains' and I'm happy with the results. I hope the fans will like them too." Remixes 2: 81-11 will be available in two different CD formats; Single and Triple Disc versions, as well as Downloads and as a 6 x 12" vinyl LP box set.